From Nothing To Something ~ My Life. Shame you couldn't organise more friendlies, but you did well in the ones you played. Dominic Knowles will be a brilliant player for you! Pre-season's all about fitness. Now that that's done, time to focus on the season! I am sorry to say that they'll most probably be no updates for the next week or two, my keyboard has stopped working and I've had to send my PC in for repair and along with this my save could be deleted as they may have to do a system restart, hopefully they don't and I can get back to writing about this amazing save which I very much enjoy writing about, fingers crossed guys but sorry once again. A miracle has happened! My keyboard has started to work again so the save and story shall continue! 2015-09-05 18:52#219695 Jack : Shame you couldn't organise more friendlies, but you did well in the ones you played. Dominic Knowles will be a brilliant player for you! I expect a bit from Knowles, I know from looking at past saves he is a great goalscorer! I was happy with my pre-season, pretty good and the players are fit and ready which is the main thing! 2015-09-05 18:53#219696 Justice : Pre-season's all about fitness. Now that that's done, time to focus on the season! Yeah it is and I'm happy to say we're all ready! With only one day to go before the start of the season, everyone was excited - me, the players and the fans. We wanted a good start to the season of course so we made sure the players were ready by doing some added extras in training so everyone was in tip-top shape. The usual stuff was included in training because we need to focus on the basic things to make sure we can play our best. You could see everyone was ready for tomorrow, the passion was there in their eyes and everyone was getting behind each other, making one another have confidence, which was fantastic and exactly what we wanted. After training I decided that I would make a trip to ASDA to do my shopping and obviously there were going to be a couple of Harrogate fans within the building, but I was quite happy about that because every time one of them would pull me over for a picture or a word, I would be able to ask them how they feel about tomorrow and every single person were very confident. "You have really got the message into the players," one told me, "and with that the players are positive and ready so I really expect you to put that positive energy into a win tomorrow." Of course I agreed because he had a very valid point, all this good morale has be used to help us win against Corby. As I went around collecting the shopping I was thinking of a way to get the best out of the team and I found the solution within seconds, it was very simple but I knew it would work, "Get this positive energy out," I told myself. The fans had expectations that we needed to live upto, but I knew that we could deliver. I went to the checkouts and smiled, "I know what I'm going to do," I told the lady at the checkout, "What's that then?" she said rather strangely, she obviously had no idea and obviously didn't follow Harrogate, I laughed slightly, "It doesn't matter," I said and I don't think the women would ever look at me the same again if she saw me. It was finally here, the day I was waiting for, well the day everyone was waiting for, the world was waiting for Saturday 8th August, whether it be for Man United to kick-off their season or for FC United to, the world was waiting. 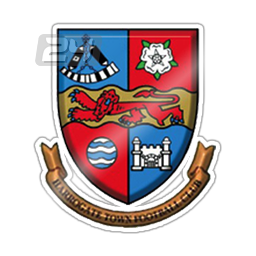 The players sat in the dressing room, patiently waiting to head out and then walk onto the Wetherby Road turf, it wasn't what they dreamed of perhaps, but they still loved being on that turf. Of course I told them what I planned on telling them, everyone was excited and extremely motivated, which was great and we were ready. The players soon led out onto the pitch and the whistle blew for the first half to begin, the fans began chanting and that's when I knew it had begun. It was going to be a tough test - we'd not played Corby for many years and the style of play had obviously changed since we lasted battled them and along with this we didn't know what to expect, a newly promoted side can really shock you, that's the joy of football. They started with great pace, passing the ball round confidently and with great ease, "Get stuck in!" I screamed from the touchline and with that we attempted to win the ball back, however they were just too quick, the sheer pace they could get the ball to spray around was amazing and after just six minutes they had tested our keeper, Jon Stewart several times. We did have sparks in the game for sure as our wingers, Joe Colbeck and Nathan Luscombe used their pace and skills to cut inside and then have an attempt on goal, however their keeper was in great form, like ours and managed to keep them out. Then a real blow happened, as one of their players attempted to play a through ball behind the defence, Lloyd Kerry came flying in with his studs up and the referee quickly ran to him and pulled out a red card and I couldn't complain, it was a poor tackle from the 27 year old, however nothing else happened in the first half and it was 0-0 at the break, but despite the rather poor performance the fans continued to sing through the duration of the first half and that kept the morale up a bit. I was a little disappointed at half-time because the players weren't really giving 100% and weren't playing their best football like we wanted them too, the fans and myself both wanted three points to start the campaign because it would give us something to build on ahead of the future games against Brackley and Chorley. "Keep your heads up," I said passionately, "We just need a bit more of an improvement and a bit more passion and we'll soon be in front, use the fans motivation as a way of making the desire come out if you understand, yeah?" Everyone nodded and clapped and a chorus of "C'mon Harrogate," was shouted by all the squad. The second half got underway and once again the fans began to sing and the passion was in the players eyes again, I was confident and even with ten men I believed we could push on and get the points, but my hopes dissolved rather quickly, once again the referee pulled out a card and it was another red card shown to new signing Nathan Luscombe who came in from behind and once again was rightly sent off, that's when we all knew our chances were a lot slimmer. The visitors battered our goal, keeping the keeper busy, however could not find a break through. The fans were getting impatient with us and I could see why, after 66 minutes they'd collected 12 shots to our 4, it was very disappointing and something had to change, I threw on striker Paul Beesley who replaced the popular figure of Dominic Knowles and within two minute it had worked a treat as he made a strong run into the box, as he waited for the ball to be whipped in from the left hand side, a brilliant cross came in from Colbeck and there was only one outcome, a goal, Beesley celebrated sending the fans into celebration, it was slightly undeserved but we took our chance. What we did deserve though was more chances thrown at us, the defence had almost been non-existent and they'd really let the team down and Corby finally got the goal they deserved in the 71st minute, Tommy Wright scoring it after a shot from the edge of the box was fired into the top left hand corner, out of the reach of the superb goalkeeper. We knew that now we just needed to hang on, everyone was very tired and with no real efforts from us, it was just about surviving, the fans were rather unhappy, you could here it in their voices, "Rubbish! Absolute rubbish Harrogate!" I knew they had a point, a very strong one. We reached the 90th minute and the tannoy rung out shouting, "There will be 7 minutes added time, 7 minutes," everyone just sighed and shouted "Watch us blow it!" The team had been poor and the tired legs showed as Corby bundled one in in the final minute of stoppage time, I was frustrated and turned away and sat down because I knew if I didn't I may of done something I'd regret and the fans weren't happy either, "For f*ck sake," I heard many shout and rightly so, we'd thrown it away. The whistle went, Harrogate Town 1-2 Corby Town and the tannoy rung out once again, "Thank you for your support here at Wetherby Road, today's attendance 455, we hope to see you here on Saturday the 16th of August where we take on Chorley." As I and the players took to the dressing room, I couldn't keep the frustration in, "What was that performance? Where was the passion? I saw it for about 2 minute in the second half and it just went! We need to improve from this if we want to gain promotion because I can tell you one thing, if we play like this, we'll be going down rather than up!" I weren't going to hold back, I needed to be aggressive and drum it into the players, everyone left angry and annoyed with themselves, but rightly so, we can't play like that, it's not what the fans want to see at all. Yesterday was a horrible day, all the excitement had been killed after the game against Corby, words did not describe how we all felt and how the game went, bad was an understatement really. I was stood taking questions for the Non-League paper who had given me and the team a fair bit of attention over the past few weeks as they were almost trying to 'discover' more about myself and the team, I wasn't sure if I liked this or not because the publicity gave us pressure. but if we could live upto the pressure, perhaps it would benefit as it could help people find out who we are. "So how are you after the loss yesterday," one writer asked, "If I'm honest I'm very disappointed," I said assertively, "We all had high expectations coming into this game, but that could be why we didn't play as well as we could - because of all this expectation. We all know what it can do to you, it can play with your mind and make you complacent and that's what we didn't need - especially against a team like Corby. Hopefully we can go into our next couple games and take away the points because we can't afford a poor start as once that happens, the confidence goes and we still have that in the team camp, that's a positive." "So how do you and the team feel coming into the Brackley game?" The reporter asked me, almost laughing at me because he could how much I was thinking of what to say, "We feel good and that's the main thing, of course we weren't in a good place after the Corby game but after briefly seeing the players they are all ready to prove themselves again and make it upto the fans and club, that's the best attitude to have, as for me, I'm feeling a lot better, I think I can go into the Brackley game knowing that the players will make sure to play their best, because now they know that one more poor game and they'll be gone, I made the threat and I'm sure we'll see an improvement." "Finally can you tell us about the signing of Ryan Charnley?" 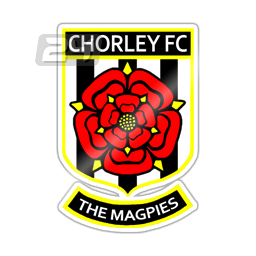 The reporter asked suddenly, Charnley had joined from AFC Fylde over a couple hours before the interview on a free transfer and was predicted to have a very bright future ahead of him. "Yes, I can. Ryan is an amazing young player and will be a top player for us in the future, he has a great work rate and a good head, he knows what's expected of him here and I'm sure he'll live upto the expectation we have of him, I could see him become a dominant striker in and around the League One level, if not higher, hopefully he will benefit from game time and grow a stronger player." The reporter smiled at me and said, "Thanks for your time." I smiled back, shaking his hand and began to turn to the door before saying, "You're very welcome." A brilliant month after the poor start to the season, a great recovery. 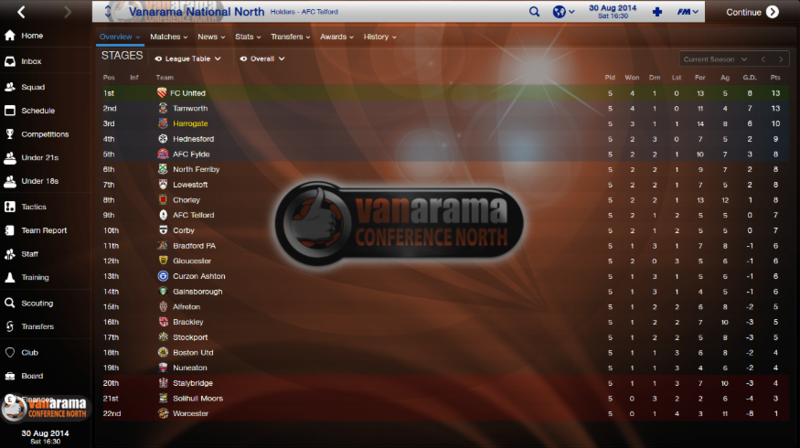 This month was always going to be difficult, playing a recently promoted and relegated side, alongside two solid mid-table teams, but we really show our class, especially against Brackley. 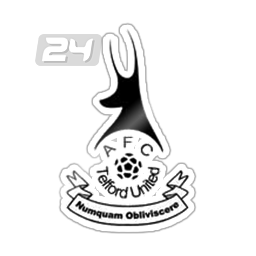 I saw exactly why we are predicted to aim for promotion due to the shear determination the players had, scoring with just two minutes to go against a top AFC Telford side, someone who had only just been relegated down to this level again, I was very happy with that result, in fact I was happy with all of them. The strike force of mostly Speight and Knowles, with Beesley rotating off the bench usual has been working very well as you can see by the number of goals we scored, however we need to tighten up the defence and hopefully next month we can see an improvement in that area. You are reading "From Nothing To Something ~ My Life. ".